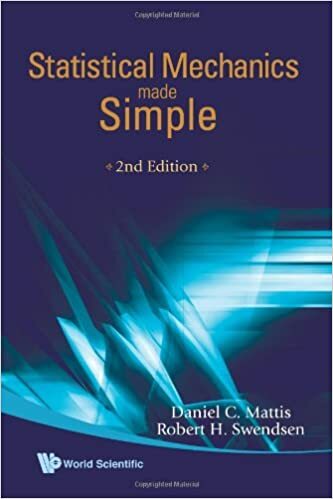 This second edition extends and improves on the first, already an acclaimed and original treatment of statistical concepts insofar as they impact theoretical physics and form the basis of modern thermodynamics. This book illustrates through myriad examples the principles and logic used in extending the simple laws of idealized Newtonian physics and quantum physics into the real world of noise and thermal fluctuations. In response to the many helpful comments by users of the first edition, important features have been added in this second, new and revised edition. These additions allow a more coherent picture of thermal physics to emerge. Benefiting from the expertise of the new co-author, the present edition includes a detailed exposition - occupying two separate chapters - of the renormalization group and Monte-Carlo numerical techniques, and of their applications to the study of phase transitions. Additional figures have been included throughout, as have new problems. A new Appendix presents fully worked-out solutions to representative problems; these illustrate various methodologies that are peculiar to physics at finite temperatures, that is, to statistical physics. This new edition incorporates important aspects of many-body theory and of phase transitions. It should better serve the contemporary student, while offering to the instructor a wider selection of topics from which to craft lectures on topics ranging from thermodynamics and random matrices to thermodynamic Green functions and critical exponents, from the propagation of sound in solids and fluids to the nature of quasiparticles in quantum liquids and in transfer matrices.